Google has announced that it is adding three new features to its search app on iOS. The company says that the changes will help users discover and share information more seamlessly on Apple’s mobile platform. 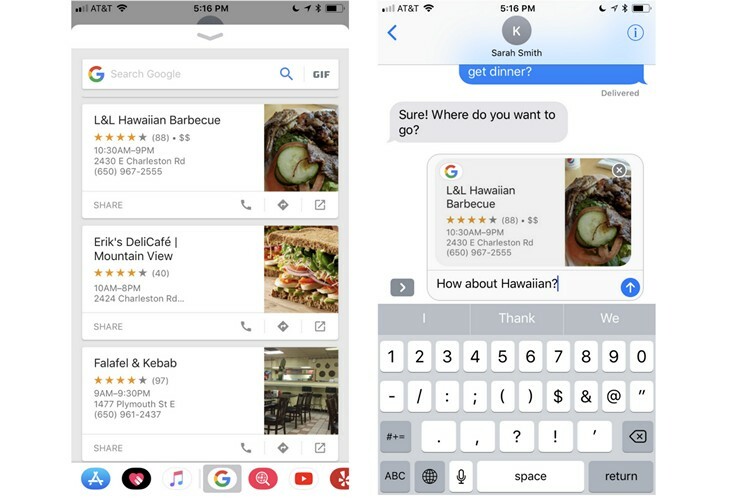 First and foremost, the Google app on iOS now comes with an iMessage extension that lets users search and share GIFs, videos and more from right within the iMessage app. 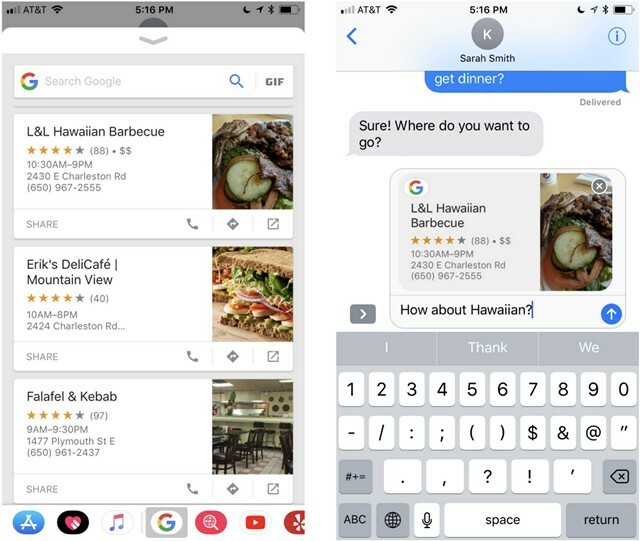 The new update also ensures that users can search for weather info, news, local restaurants and other details without leaving iMessage. The feature is only available in the US right now, but the company says it will be rolled out to more languages and locales soon. Google has also announced that the ‘related content’ feature, which it rolled out to its search app on iOS last year, will now be available on all browsers on iOS, including the default Safari. As part of the new update, users will see suggestions for related content while surfing particular web pages, without having to Google for more info. Users will have to scroll down to the bottom of a webpage to see a new ‘related content’ card that needs to be pulled up to see suggestions for additional topics that Google’s algorithm believes will be of interest for them. Last but definitely not the least, the app will also finally gains Drag and Drop support on iPads running iOS 11. According to Google, users will now be able to drag and drop to move text, images and links to and from the Google app. With the introduction of the new feature, users will now be able to “tap and hold to pick up (any) link and drag it into iMessage to share with a friend, or into Notes to save for later”. After rolling out features like ‘Multifaceted Featured Snippets‘ and ‘Symptom Search‘ to its users over the past few weeks, the latest developments are yet another attempt by Google to not only integrate its bread-and-butter search functionality with other apps, but also offer nuanced, comprehensive and compelling content to users on its own platform. In case you’re an iOS user and don’t already have the Google app on your phone, you can download it for free by clicking through this link.